With an introduction by Pamela Franks and essays by Elisabeth Hodermarsky, André Lepecki, Arthur D. Middleton, Molly Nesbit, Gifford Pinchot, Jennifer Raab, and John Rember. 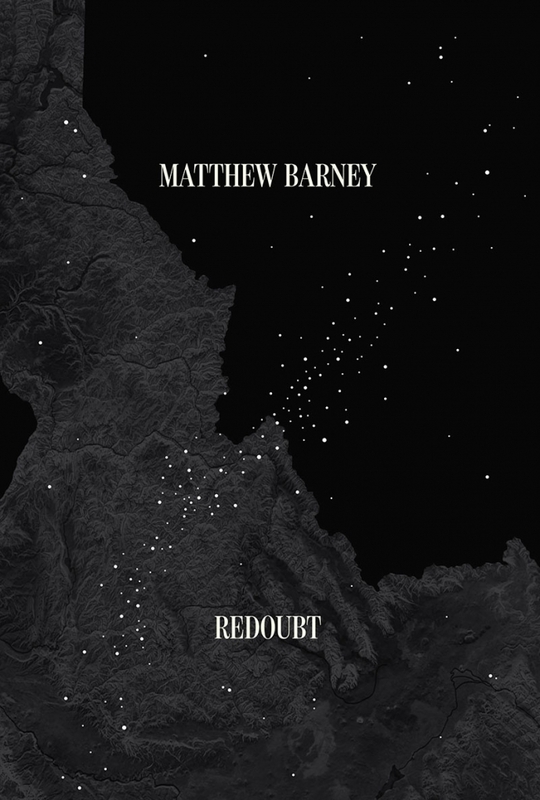 Matthew Barney: Redoubt is a comprehensive catalogue of the artist’s newest project, which centers on a two-hour film that creates a complex portrait of the American landscape by layering classical, cosmological, and American myths about humanity’s place in the natural world. In the film, the goddess Diana and her two attendants traverse the rugged terrain of Idaho’s Sawtooth Mountains in pursuit of the elusive wolf. An Engraver (played by Barney, b. 1967) furtively documents their actions in copper engravings and provokes a series of confrontations. The characters communicate through dance, letting movement replace language as they pursue each other and their prey. The publication comprises hundreds of stills that track the film’s narrative, as well as essays—some lyrical, others more objective—that approach Redoubt through disciplines such as ecology, art history, and dance. Also featured are the artworks made by Barney in conjunction with the film: electroplated copper engravings based on those his character makes and sculptures created by pouring molten metal through hollowed, burned trees harvested from the Sawtooth region. Taking a cue from Redoubt’s mountainous setting, the overall design of the book evokes a field guide.